When it comes to showcasing your home, make every picture count. What do you look for when you're searching for a possible exchange? At first glance, it is probably the photos. Don't worry; we've all been there. We get it! The power of your photos to catch an exchange partner's eye is not something to underestimate. It can transform that, "maybe" into an "absolutely" in no time. Here are a few ways you can make pictures of your home shine. When a camera is on your phone, it's easy to grab it and snap a few photos but, before you do, sit down and plan out what you'd like to show. There are those "must have" images like bedrooms and the living room. Kitchens and bathrooms are also great to have. If you have a place to do laundry, an office, or something else unique to your home, make sure to include it as well! Give them a sense of what they will see when they walk in your front door. Once you're ready to begin, don't underestimate the power of tidying up. Just like cleaning guru Marie Kondo, author of The Life Changing Magic of Tidying Up, says "tidying orders and relaxes the mind." It also helps to give people a better sense of your home. Picking up your clothes, shutting the lid of a toilet, tucking a trash can around the corner, or clearing a countertop are all easy ways to transform your home. This isn't about perfection; it is about setting the stage and helping others envision themselves stepping into your home. As you start taking pictures, there are few things to keep in mind. First, horizontal (or landscape) images always fit better on the site. It not only shows more of the room while also offers a greater sense of the space. If you upload them to your profile and they are upside down or sideways (we've seen it all), you can rotate them directly on your profile. If you can, make the photos as high-quality as possible. This doesn't mean you have to invest in a fancy camera, just confirm that the images aren't too small to see details. Also, feel free to reorder the photos to tell the story of your home. With photography, lighting is always a top priority. Use of natural light as when you can or add in lamps for an extra glow. A flash, whether from your camera or phone, will tend to wash things out or add shadows, so use it sparingly. If you can, don't be afraid to edit the images slightly. You might lighten them up if they are dark, darken them if they are too bright, or even crop out something unwanted. A slight adjusting can take your photos from alright to wow! Once you have finished taking your pictures and you have them ready to upload, you might want to consider what the order in which place them. The first image will be the primary image that potential Exchange Partners will see when searching for an exchange. Make it something engaging, welcoming, and specific to your home. We also recommend batching the photos so that the images directly related to your home are towards the beginning of the gallery while those showcasing your area are at the end. 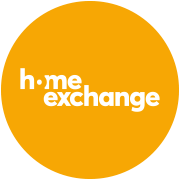 This way, Exchange Partners can see your home first and then get a sense of your region. If security is an added concern for you, we do recommend not showing the front of your home or give away your specific location. Alright, it's time to pick up your camera and start snapping! You don't need to be a professional photographer to build a fantastic profile. We can't wait to see what you create. Read about Bailey and their family's HomeExchange experience where they got to see and play in the snow in the Lake Tahoe area of California.